Laidlaw’s academic support is managed by the Centre for Learning (CFL). CFL provides academic support for all students, including those who are studying by distance learning. Our main goal is to help you succeed in your studies. If you need help with an assignment, essay writing, referencing, time management, exam preparation or how to study effectively then we are able to assist! We also hold a number of workshops throughout the year to help you in your study. Please feel free to drop in to meet any of our Student Support staff at any time. If there is no student support available when you drop in, you can make an appointment to meet with one of the team at a time that suits you both. For course related questions, programme planning, moodle or any other academic concerns, our Academic Support Manager, Jonathan Hoskin, is available to help. He can be contacted on 09 837 9781 or [email protected]. We encourage you to utilise the pastoral support structures of your own church. However, you are very welcome to talk through any personal matters with our Student Dean, Jenny Mackie. She is also able to assist you to access other avenues of support, both here at Laidlaw and with other agencies. Jenny can be contacted at [email protected] or on 09 836 7806. Her office is located at the top of the stairs in the main building. 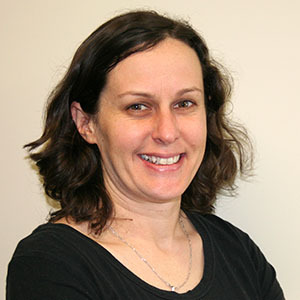 Fiona Sherwin specialises in supporting students who have a physical or learning disability and who need either practical or academic assistance. Fiona can be contacted at [email protected] or on 09 836 7878. Fiona’s office is located in the Student Support Office on the ground floor (opposite the fountain courtyard). 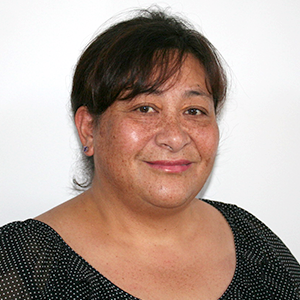 Gina Siaosi is Samoan and was born and raised in South Auckland. She has a DipBS and BMin from Laidlaw College. Past ministry experience has mostly been in Pastoral Ministry & Missions. She is currently the Senior Minister of Upper Room Ministries and the Founding President of the South Pacific Women’s Christian Association. Gina can be reached by email at [email protected] or on 09 837 9745. At the Manukau campus, we are all about kaiawhina (which means ‘to come alongside’). Tertiary study can be challenging, especially if you are fresh out of school or coming back to study after a long period. Laidlaw College provides all the student support you may need, including help with study skills, pastoral concerns and disability support. Anne Segedin completed a BMin at the Henderson Campus 1992-1994, followed by an MTh in 2016. Anne spent nine years with NZCMS in Tanzania teaching at what is now Msalato Theological College. She is available to support students in their studies and looks forward to meeting you and to speaking with you as you set a pathway for your studies going forward. Anne can be contacted at [email protected] or 09 905 4960. We have staff members specifically tasked with assisting students who have a physical or learning disability and who may need practical or academic support. Fiona Sherwin is here to both offer support and connect students with those who can give additional support. She can be contacted at [email protected] or 09 836 7878. Tertiary study can be challenging, especially if you are fresh out of school or coming back to study after a long period. Laidlaw College provides all the student support you may need, including help with study skills, pastoral and disability support. For course related questions, programme planning, moodle or any other academic concerns, our Student Support Adviser (Flexible & Distance Learning), Phil Cope, is available to help. He can be contacted on 09 836 7815 or [email protected].